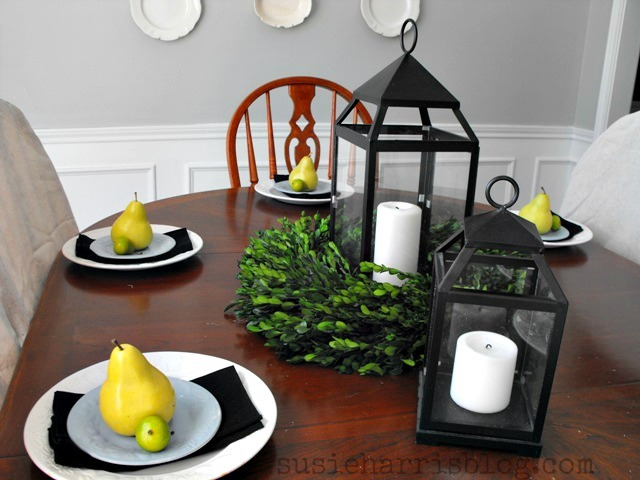 While running errands to Lowe's today I ran across this boxwood wreath! So many of you have asked about my square one below. I bought it years ago in my favorite boutique in Baton Rouge called "The Royal Standard". It was pricey but I had to have it. It's the real deal y'all. 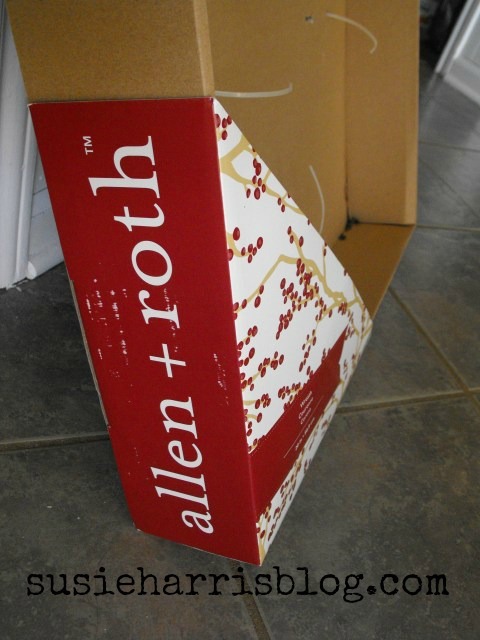 It's an Allen + Roth.. now go.. hurry..
You will want more than one. I promise. I stopped at one but I'm so wanting to go back for more. You just never know when one must need an extra..you know? And yes, that's a bite mark out of my faux pear. Compliments of Maddy years ago. I have to giggle now.. oh the sweet memories. Hope you can snag yours before there gone. I will be heading out in the morning to my local Lowes to snag one of these wonderful wreaths. Love it! 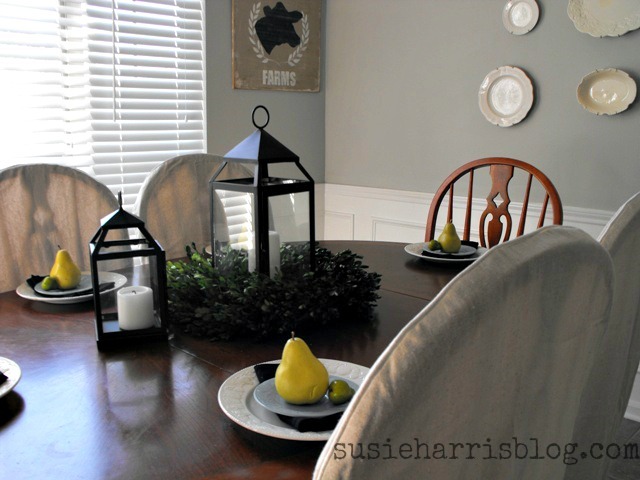 Also, would you mind sharing the lovely wall color name in your dining room. I am heading out to Lowes tomorrow to pick up one to! What a great price and perfect for the Christmas holidays! It looks beautiful on you table! Susie, thanks for the tip! I have been wanting a couple for the french doors to the office! I would LOVE to get one! I saw one in Ballard's catalog and it was way overpriced. I wonder how long they last? 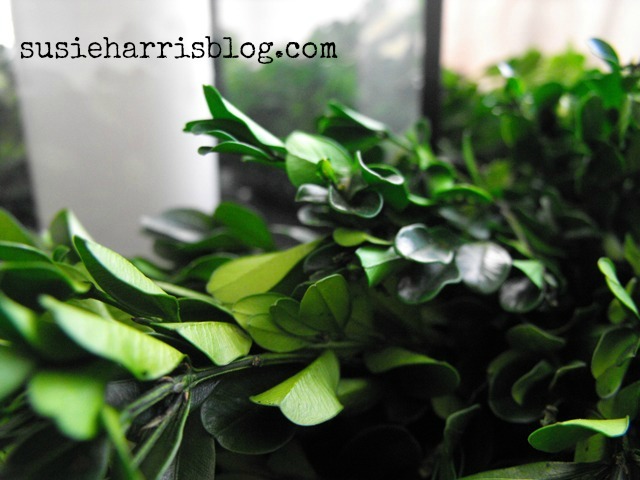 We have boxwood hedges and I love to use pieces in arrangements. Now, If I knew how to make wreaths!! Thanks for the tip, Susie! Hi Jane. I loved the ones in Ballard too but could never justify spending that much on a wreath. The one I have in my livingroom above my fireplace has been up there for about 5 years Im guessing. All you have to do is dust them off and keep them dry. good luck! Guess where I am going tomorrow! I am keeping my fingers crossed. 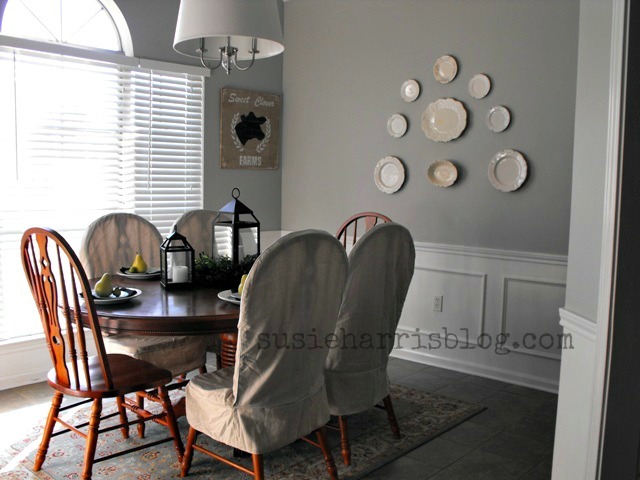 I like your plate wall! Thanks Lynn. Hope you were able to snag up a wreath for yourself. Enjoy! 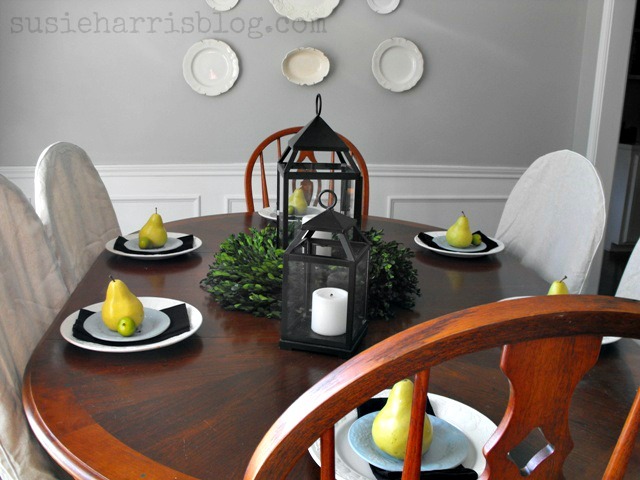 I love the boxwood wreath, but I love that pear with the bite mark! Cute wreath! If I got one, my pesky cat would have it torn up... I too, have a child that once thought fake fruit was tasty and have a green apple on our table with a bite mark to prove it! 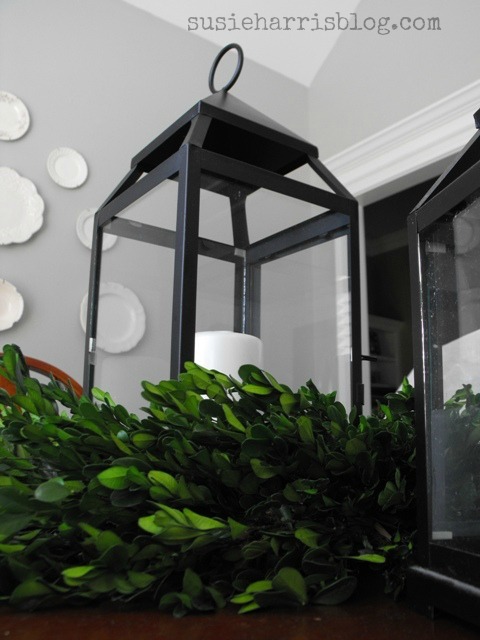 live boxwood...so pretty. love your signs too girl. talented!! Thanks! Hope yall weathered the storm ok. By your intagram morning photo is looks so. I can't tell you how much my daughter and I enjoy your and Big Chicks photos. You too are such sweet blessing to Maddy and I. Thank you! I have to tell you that you have clued me in on so many great deals....remember when you blogged about the My Coke Rewards? I jumped on that and am still collecting points. I have gotten some great magazine subscriptions from it! Also, you blogged about the moss covered "stones" once that came from Dollar Tree....I rushed right out and got some of those! So, yes, I am going out to get a boxwood wreath now....thank you for all the "personal shopping" you do for me and all your blog followers!! Hope there's one left at my Lowe's! Thanks tipster! went yesterday.. was told.. 'oh those are still in boxes in the above rafters'.. what? Ok, not a problem to told the boy, but let's hope this weekend he whips them out! 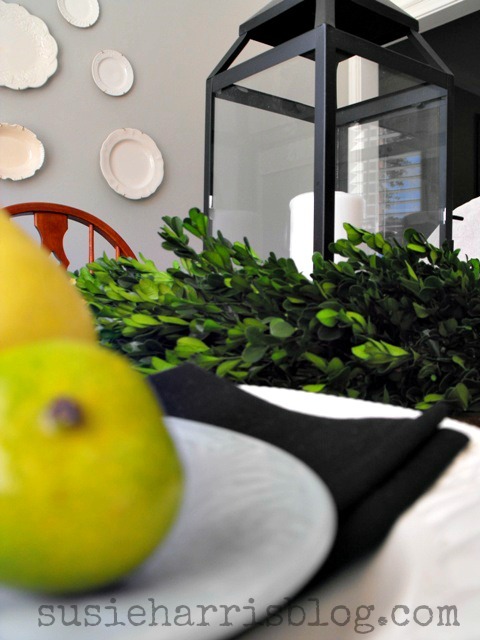 LOVE the one over your mirror! Love all of your inspiration! 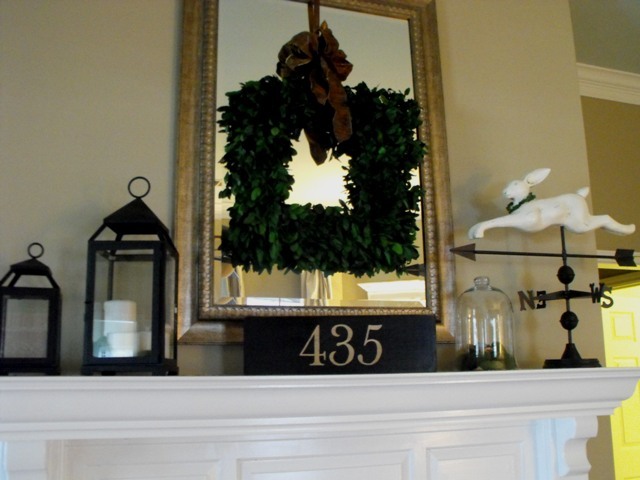 Do you have a large Lowes, cause I love this wreath and so *need* a couple but my Lowes didn't have any of them. Course I live in a very small farming community. I just checked my Lowe's and it looks like they still have some! I hope I can get a few to hang in the windows. Thanks for the tip!